"For faith. For family. For fun." 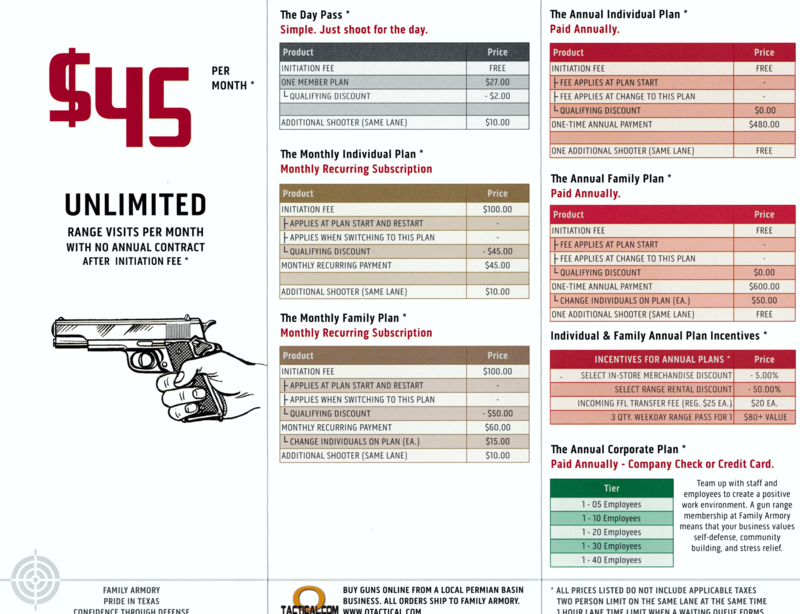 Thanks for visiting the business website for Family Armory & Indoor Range. 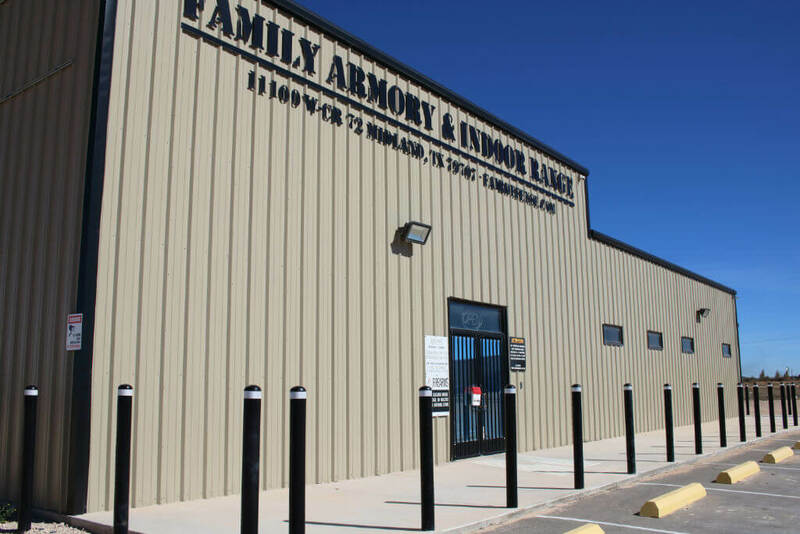 We are located between the cities of Midland and Odessa in West Texas (find Family Armory on Google Maps!). We are a Federally licensed firearms dealer, a shooting goods retail store, a firearms education facility, and an indoor gun range. After three years of collaboration, we opened our doors in 2015 to serve the good natured law abiding citizens living in our Permian Basin community who have been blessed with the desire to practice shooting their firearms in a safe and climate controlled environment. — Look at what we’ve inspired. – Each lane extends 25 yards. — Read more about the range. For pistols and long guns. – Rifle ammo must not respond to a magnet. – Shotgun ammo must not contain pellets. — Read more about our range rules. – One hour limit during surges in customer traffic. – Return later; no additional lane fee. — Read more about pricing. – Support local area small business! – Additional targets available for purchase. – Additional ammunition available for purchase. — Read more about our retail. – Closed on Monday for range maintenance. – Tuesday – Friday: 12P – 8P. – Saturday & Sunday: 9A – 8P. — Read our Facebook Page for announcements. Family Armory carries everything to complete your shooting experience. Our facility provides 10 lanes at 25 yards with plenty of room behind the stalls. 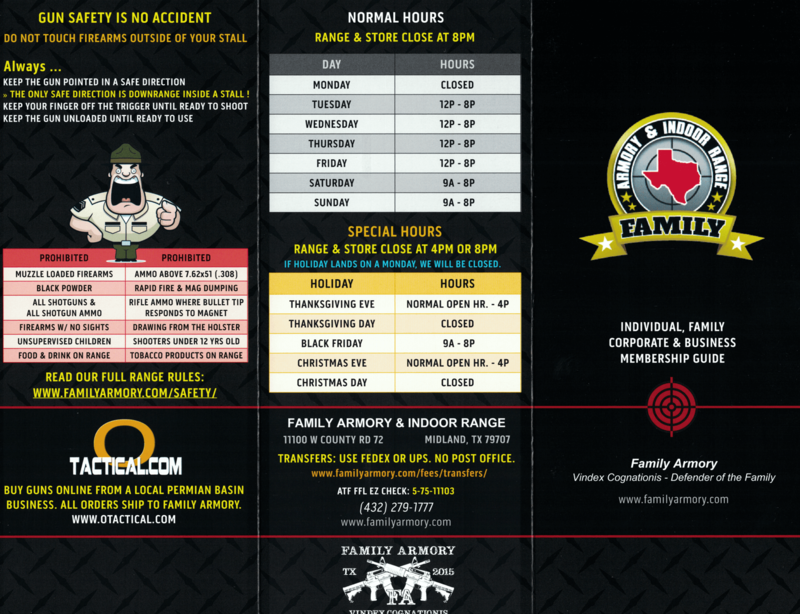 oTactical online has an exclusive partnership with Family Armory. Everyone allowed in the shooting area is a member committed to safety. We host public gun law seminars and classes for the License to Carry a Firearm. Check out our calendar to see upcoming events, classes, and seminars.